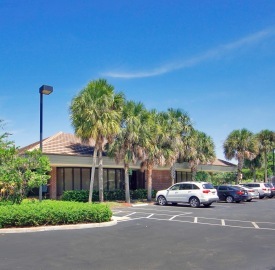 Cushman & Wakefield has negotiated the sale of Plantation Professional Park a 63,319-square-foot medical and professional office campus in Broward County. The Cushman & Wakefield Capital Markets team of Greg Miller, Scott O’Donnell, Dominic Montazemi and Miguel Alcivar represented the Kislak Organization of Miami Lakes in the sale. Aventura, FL-based Triarch Capital Group acquired the asset for $11.3 million, or $178 per square foot. Plantation Professional Park is a six-building office campus built between 1987 and 1989 on a ±7.84-acre site at 6710–6834 West Sunrise Boulevard in Plantation. The single-story buildings comprise a medical and professional office campus located three miles from Westside Regional Medical Center. The site also includes a vacant pad previously approved for an additional two-story, ±22,000-square-foot medical office building. Plantation Professional Park was 96% occupied at the time of sale. Notable tenants include Dickens Sanomi Academy and American Access Care. “When combined with its centralized location in Broward County, dense and economically strong surrounding communities, and superb accessibility, Plantation Professional Park epitomizes the environment that today’s medical and professional tenants migrate towards,” said O’Donnell. In 2016, the same Cushman & Wakefield team negotiated Equitrust Life Insurance Company’s disposition of Plantation Professional Park to the Kislak Organization for $5.15 million. In 2017, the Kislak Organization completed a $1.59 million renovation program at the property that included new roof overlays and mansards, exterior paint and pavement improvements.